Trio Sporting Goods Mfg. Co.
Are tennis cans vacuum sealed, or are they pressure packed? Why can’t I find Spalding (or other brands) listed in the “Listing of Brands”? When did pressureless tennis balls first appear? How can I tell if my can is not factory sealed? When did the modern plastic cans first appear? 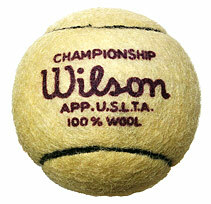 What is that red plastic-like covering that some early tennis balls were encased in? Do you own all of those cans and boxes listed in the database? I noticed several cans in the database that look just alike, why is that? What manufacturer made the first pressure packed can of tennis balls? Info from a Wilson can. 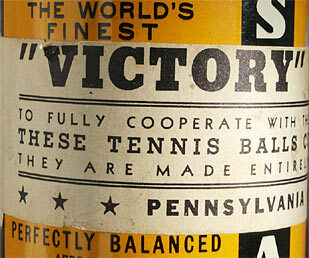 Label on a Pennsylvania can. “VICTORY” TENNIS BALLS To fully cooperate with the rubber conservation program these Tennis Balls contain no crude rubber, they are made entirely of substitute materials..
Small rubber chunks about an inch in diameter were cut from huge sheets of reclaimed rubber. Each chunk when heated and pressed in a reverse mold made half a ball. 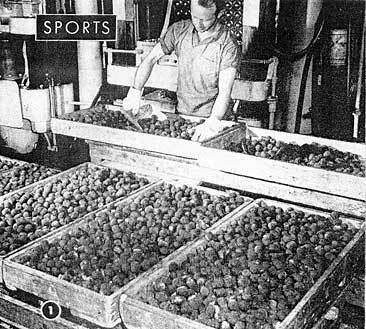 A small white pill was placed in one of the molded rubber halves of every ball and treated with a bit of water. 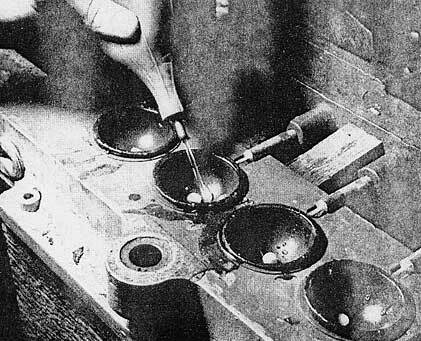 When halves were sealed together, the chemical action of the dissolving pill created pressure inside the ball. 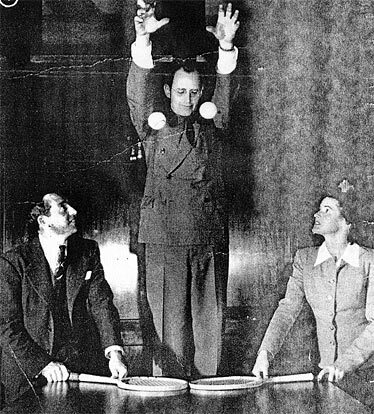 Bounce test – In a 100 inch drop, the standard ball bounces 51 inches while the Victory ball only bounces 45 inches.